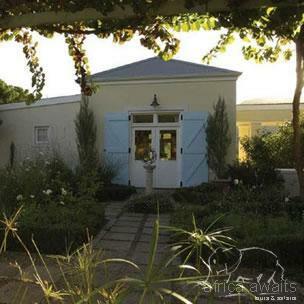 This stylish country retreat, in the beautiful Franschhoek Valley, is tucked away on an historic wine and fruit farm. Surrounded by magnificent mountains, and only a few minutes from the centre of the quaint village, Auberge Clermont offers peace and seclusion for the discerning traveler. This magnificent Auberge has been created in an old wine cellar amid vines of Chardonnay, Sauvignon Blanc and the classic Bordeaux Reds of France. Six Luxurious en-suite rooms, including a gorgeous honeymoon suite, are individually decorated in the colours and moods of Provence. Underfloor heating and ceiling fans ensure year round comfort. The Auberge offers a tennis court for the energetic, a sparkling pool overlooking plum orchards and leisurely walks through the vines and along the oak lined river. Delicious Provencal breakfasts are served under the 18th century oak trees or in the charming courtyard dining room. 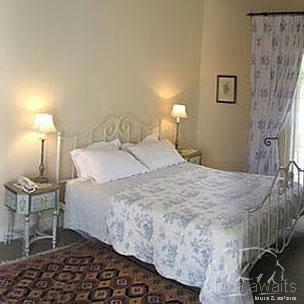 In addition, Clermont offers an historic self-catering 2 bed roomed villa. Step back in time and enjoy this secluded, beautifully appointed old Cape farmhouse with large covered terrace overlooking the plum orchard, vineyards and Franschhoek mountains. This villa includes a large loft room and bathroom – ideal for children. 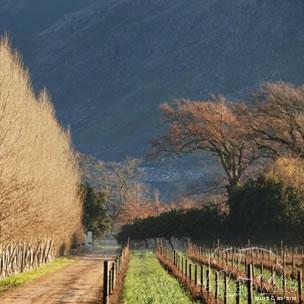 Clermont is the home of The Franschhoek Olive Oil Company. This award winning extra virgin olive oil is pressed and bottled by Chris Everson from olives grown in the Franschhoek Valley, and can be purchased at reception. With your holiday, safari or business trip from in to Auberge Clermont in Cape Winelands.